Barehipani Falls are on Budhabalanga river in Odisha at a height of almost 399 meters. 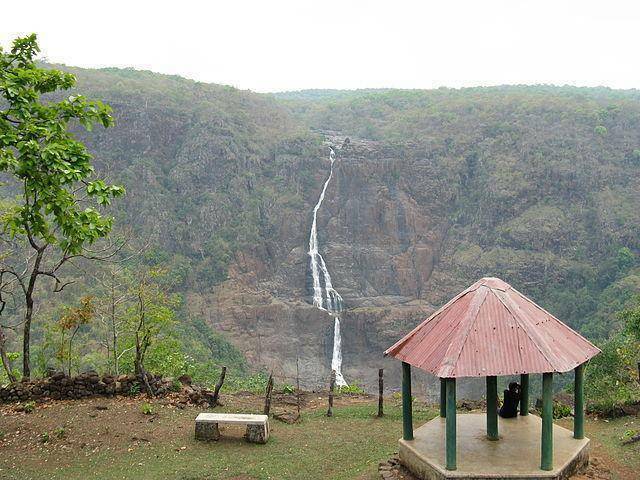 This tiered waterfall is one of the tallest waterfalls in India, second to Kunchikal falls. The waterfall is on the Budhabalanga River flowing over the Meghasan mountain. The best time to visit this spot is between the months of October to June. Barehipani Falls are located within Simlipal National Park, which is famous for housing animals like Bengal and White Tiger. They are a major attraction for visitors visiting Simlipal National Park in Mayurbhanj district. The other tourist spot which is located close to the falls are the Joranda Waterfalls. Simlipal National Park is a large park spread over more than 845 sq kilometers and is home to the Royal Bengal tiger, wild elephants, gaurs (Indian Bison) and chausingha.